Seattle Public Utilities North Transfer Station | Triunity Engineering & Management, Inc. 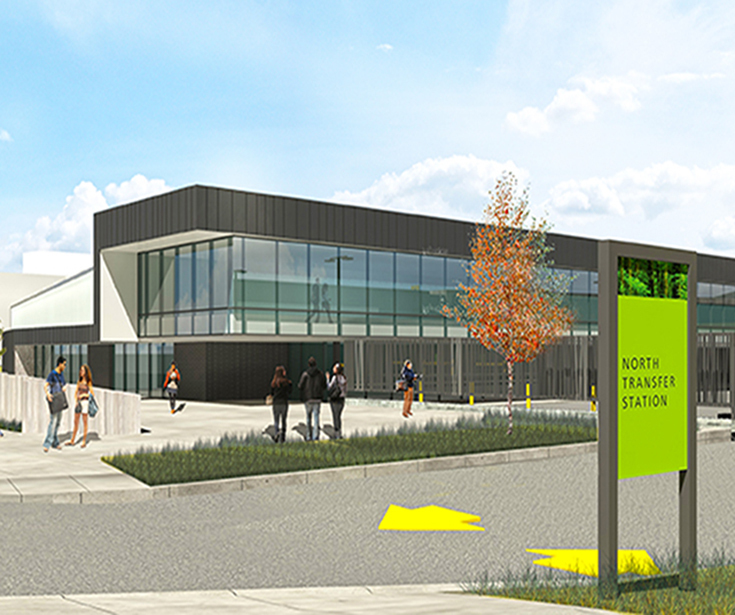 The North Transfer Station is an $80M project which is part of the Seattle Solid Waste Facilities Master Plan. The project targeted the critical need for upgrades or replacement of existing transfer stations that operate more efficiently. The current phase included demolition and new construction of SPU’s Old North Transfer Station, with project completion and re-opening for operation in the summer of 2016. Triunity led the Communications System Design and provided construction support for this project, which included the installation of SCADA and construction management system allowing further expansion. The design elements consisted of a wire and cable system, communication transmission system, closed circuit television system, voice over IP telephone system, access control system, intrusion detection system, public address system, building management system, and communications systems interfaces.